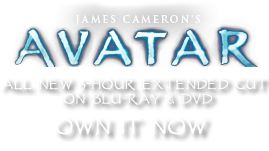 Obesus rotundus | Pandorapedia: The Official Guide to Pandora | Own AVATAR on Blu-ray & DVD Now! Although not generally a dangerous tree, Na'vi have learned to be wary of the gas balls, which can explode unexpectedly. The explosion creates a wide dispersal area for the tree's seeds. The puffball tree also takes up naturally occurring sodium from the soil, much of which is extruded onto the surface of the leaves. The Na’vi collect the leaves to use the salt in their diets. Humans on Pandora discovered this important function of the puffball tree and returned samples to Earth to study its potential use in areas where overfarming and runoff has resulted in salty, unusable soil. Research is ongoing. Taxonomy Obesus rotundus. Root name means “fat” and “round.” Same genus as puff daddy and vein pod. Botanical Description Tall tree with large globular structures produced on ends of branches. Absorbs toxic gases from atmosphere and sodium from soil. Large balls occasionally explode from buildup of high concentrations of hydrogen gas and sodium hydroxide. Ecology Important plant for detoxifying the atmosphere. When globular structures reach maximum capacity they detach and float off into the atmosphere.